Canadian mineral development company, Avalon, specializes in niche market metals and minerals with growing demand in new technology. The company’s ongoing tin project is located in East Kemptville, near Yarmouth, Nova Scotia. 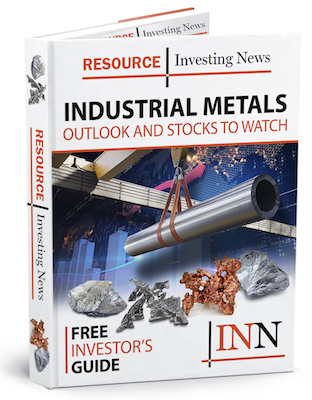 Avalon Advanced Materials (TSX:AVL,OTCQX:AVLNF), has received positive results from an ore-sorting testwork program conducted on samples of tin mineralization from its East Kemptville tin project. Sensor-based ore-sorting is an emerging technology seeing increasing application in the mining industry. It involves the scanning of individual rock particles on a conveyor using various types of available sensor technologies. Depending on the chemical, mineralogical or physical characteristics, the particles of value are individually identified and separated from the “rejects” by applying either a mechanical, hydraulic or, in the case of East Kemptville, a pneumatic process. The recent work was conducted by Cronimet Mining Processing, who are providing technical and metallurgical services to Avalon in relation to the East Kemptville Project. CMPSA has also expressed interest in partnering with Avalon on the development of the project.